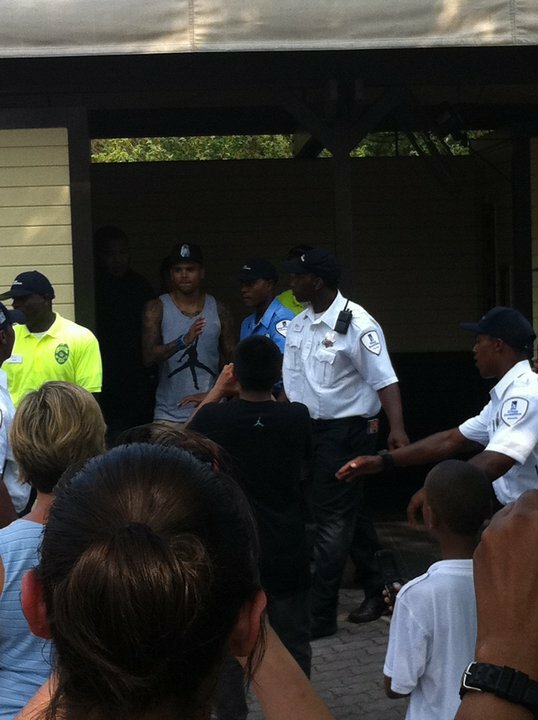 Chris Brown was spotted at Kings Dominion in Virginia. My cousin Marie B was there and captured Breezy with her friends. He was bombarded with screaming teeny boppers. Did Breezy really think he was going to stroll around and not be noticed by the hundreds of thrill seekers. Looking at these photos I think not...lol I'm glad he was in town and enjoyed himself.